If you love matte nail polishes then this has likely been your year. 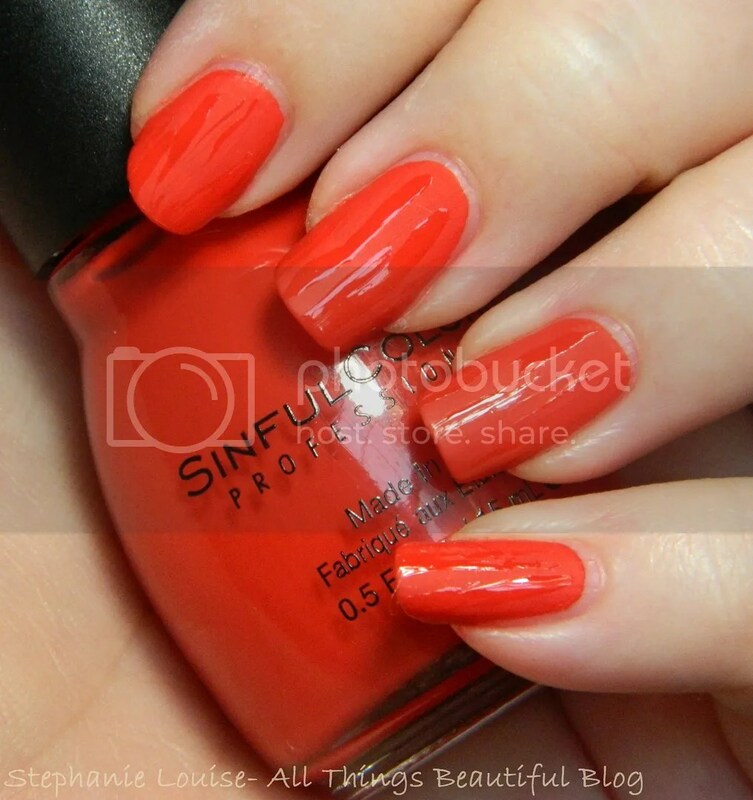 Sinful Colors came out with two new to them type lines recently- the Crystal Crushes which I reviewed recently that are textured & the Leather Luxe which are matte & have some instructions to make them look more like leather. 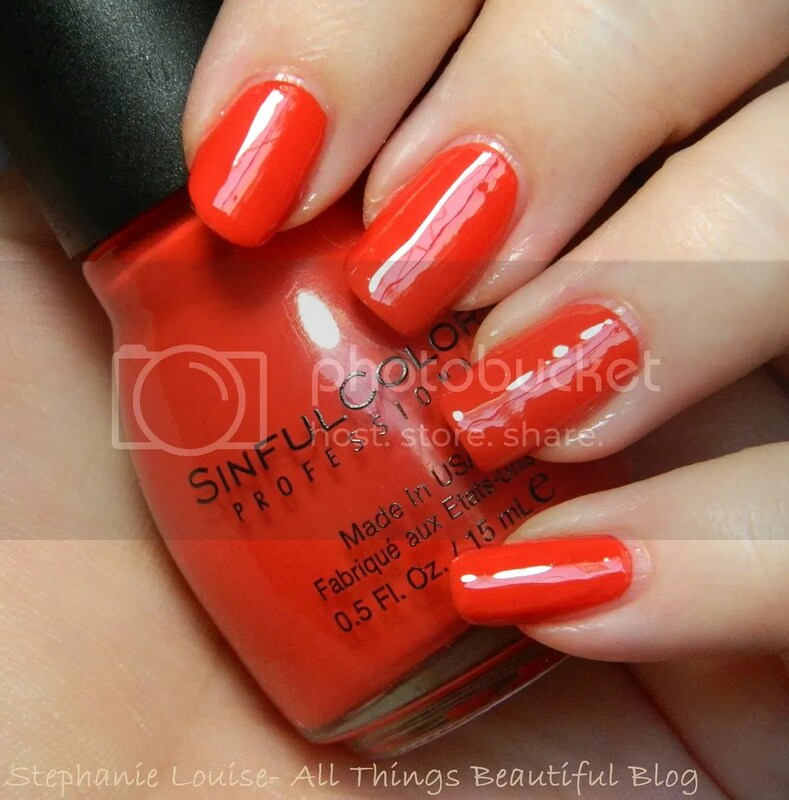 Sinful Colors Laced Up- This is what I’d call a poppy red which to me always looks more orange. This is one coat & it does dry matte. I wanted to shoe it with topcat as well, it is truly a beautiful shade. The directions from Sinful Colors was to add stripes of top coat at varying lengths to make the finish look more like leather. What do you guys think? I think it had kind of a cool effect but I prefer it matte or shiny. I also took another photo which is the first one in the post! 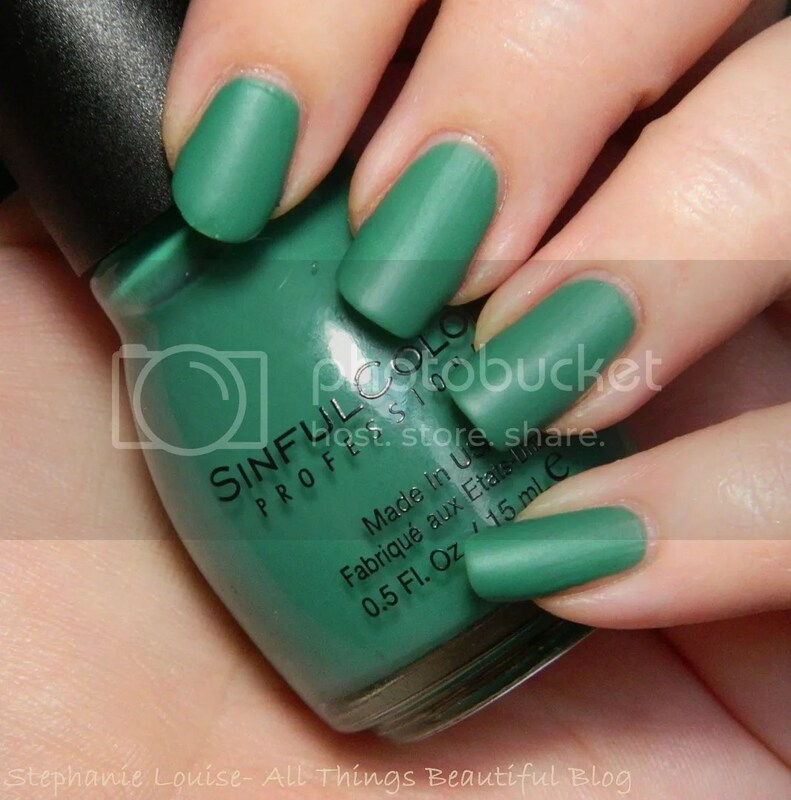 Sinful Colors Strapped- This is a really unique shade, kind of a cool toned jade. I really love it! With topcoat you can see it shines a bit more green! Again, this dries matte. I really like these shades & am definitely interested in checking out some more! 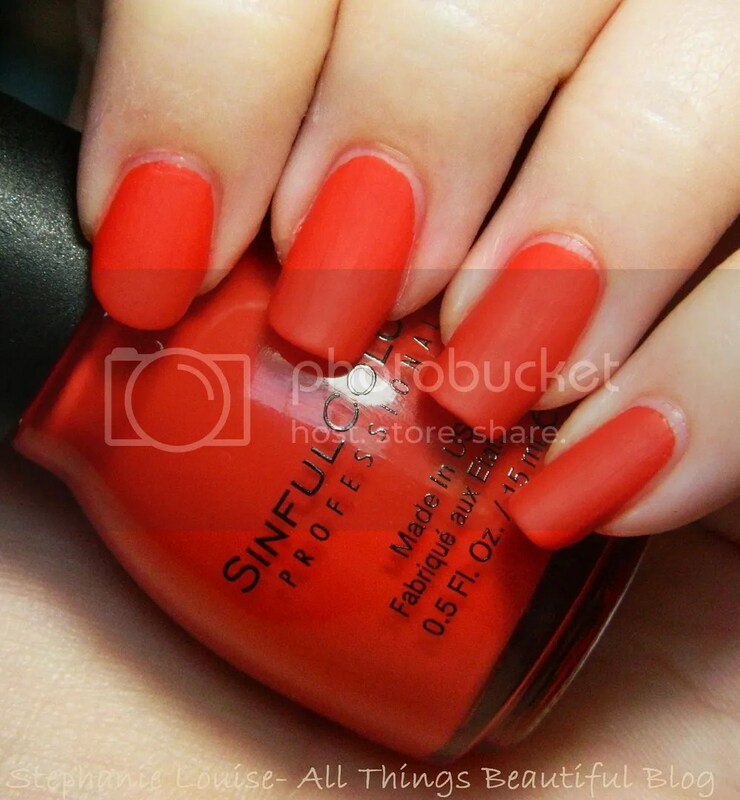 I especially love Strapped, such a gorgeous shade! If you’ve been wanting to try some new matte shades then I found the formula on these really lovely, the dry down is pretty much perfection, no unevenness at all! 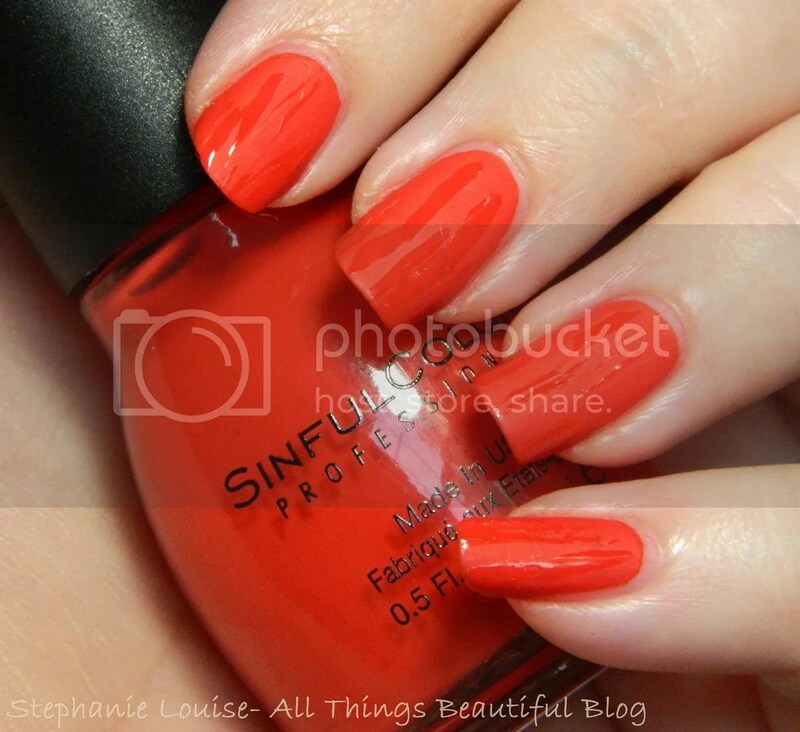 Make sure you follow SinfulColors on Facebook and Twitter for more information!